The Tao of Success: The Five Ancient Rings of Destiny - Kindle edition by Derek Lin. Religion & Spirituality Kindle eBooks @ Amazon.com. A modern book of destiny and power, using the ancient principles of the Tao Te Ching. How do we begin to discover and live our destined life? How can we use the ancient, Eastern philosophy to experience more success in our lives? 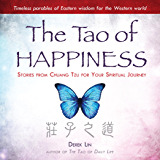 From Derek Lin, Taoist master and author of The Tao of Daily Life, comes this practical, systematic approach to the ancient and time-honored spiritual learning process. The Tao of Success navigates the five rings of life, which are common patterns of traditional Tao cultivation, conceptualized by the ancient sages: your spirit, your mind, your relationships, your world, and your destiny. Success is achieved by discovering and experiencing these five concentric rings, from the inside out, and not in the future but in the here and now. Using the same format that made The Tao of Daily Life a breakout Eastern wisdom bestseller, Lin draws on the power of Taoist stories to illustrate important keys, or lessons. He then offers commentary on understanding and applying that story in modern life-all aimed to help readers live out the destiny that lies within themselves. By integrating the life-altering lessons of this book into their busy lives, readers can begin to cultivate the Tao. In The Tao of Success, Lin returns with his enlightening approach to understanding, centered on story and illumination of ancient Taoist secrets for the modern beginner and the familiar student alike. 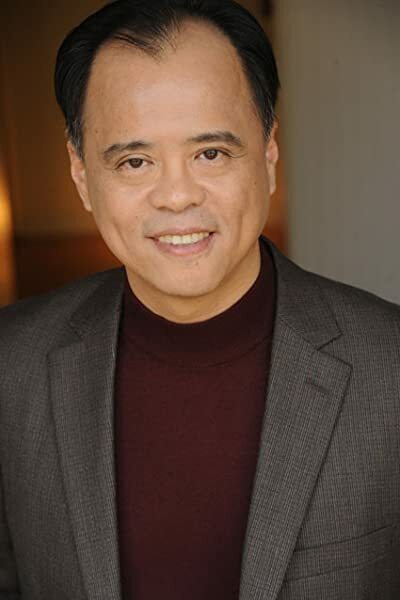 Derek Lin has become one of the best-selling Taoist teachers and writers in America today. He was born in Taiwan and grew up with native fluency in both Chinese and English. This background lets him convey Eastern teachings to Western readers in a way that is clear, simple, and authentic. His other books, including The Tao of Daily Life, The Tao of Joy Every Day, and his own translation of the Tao Te Ching, have become category bestsellers. Lin offers a weekly lecture on the Tao that anyone can attend over the internet. Currently, he is the only notable author of the Tao to provide this level of access to the public. "The truth is that there are deeper teachings of the Tao that go beyond the meaningless nature of everything. Most people never get exposed to them, so some will automatically assume that the lack of meaning must be the highest form of wisdom. In actuality is the entry point." excerpt from the book. I have read and reread this book several times now. The words resonated with me on a deep level. Facebook and social media are full of well-meaning memes and platitudes that at best only scratch the surface of what is a true success is and what the Tao has to offer. If you really want to transform your life you must be able to move beyond the clichés of popular culture and realize the real power of the deeper meanings. This book does that and more by getting to a truth that you can apply in everyday life and circumstance. When you read this book, there will be important insights that will stay in your mind. Later you will observe something or hear someone say something and the teaching will suddenly make sense in a profound way. The best way to learn the lessons is in the moments of everyday life. This is not a book to read so you can show the world how smart you are. This is a book that will teach you how to implement the wisdom of the Tao in that moment of choice that will determine your future. This book is aptly named, "The Tao of Success". If you are serious about achieving success, then this book is for you. Great book. He goes a lot into metaphors and different stories which I do enjoy. He offers a perspective that doesn't deny or reject modern life like some Taoist books do, which is why I enjoy his work. I would recommend this to anyone wanting to learn how to incorporate the Tao into your everyday life. I also recommend some of the other works that Lin has done as well and recommend you take a look at them too. My only recommendation is for Lin to maybe pick a different title style for his future works. "the tao of success" does sound a little gimmicky, like a "self-help" book, but it actually isn't like that at all... don't judge a book by its cover! 5.0 out of 5 starsAs a Westerner, I am fortunate that Derek Lin is writing and speaking about the Tao. I came across a quote by Derek Lin on a Tao-related blog that I was reading about a year ago, did a search for him on Amazon and found out about his online webinars. 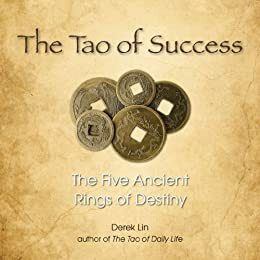 The Sunday webinars are enlightening, but they're only once a week, so I decided to purchase "The Tao of Success: The Five Ancient Rings of Destiny" so that I could better understand the Tao and have some filler in between. The book is very organized in a systematic way, but what I enjoyed most about this book was the richness of the stories followed by Derek's explanation of how it pertains to the Tao and practical application. Since then, I have purchased his translation of the Tao, "Tao Te Ching: Annotated and Explained" and am working my way through that. Derek is a great communicator with his writing and speaking abilities and he's also a funny, easy-going guy. I just love him. I might also add that I have a few other Tao Te Ching translations around the house and was never able to get into them because there were no explanations. I find myself practicing the Tao in my daily life now, where before I never had a clue. I always leave his books or the webinar with something profound. Derek's books are treasures in my library and I anxiously await his new one, "The Tao of Joy Every Day: 365 Days of Tao Living". Highly recommend for your library or as a gift to others who seek spiritual development. You might also visit[...] for further information about the Tao. It's great! Once again - job well done by the author, Derek Lin!!! He has done an excellent job defining the Tao and placing important facts into delightful, down to earth readable stories for all to enjoy. I have to be honest, I think I like the `Tao of Daily Life' a little more. Still this book is a wonderful read and worth the time. Everyone knows the Tao Te Ching, but I'm sure even after reading a few different renditions, we still walk away somewhat confused or even worse, we think we get the whole picture. I am no exception here -- I have a read a couple of renditions and it starts out all too intriguing. You begin to get a general idea of the theory, which is great. However, I for one kept looking for more answers, more definitions, and even more clarification. Derek Lin is one of the answers to the puzzle for me. He quotes the Tao Te Ching many times throughout the book and delves into detail explaining the actual context. The best part - he does not drag you down with details or boring overviews. He 'cuts to the quick' and does so with simple, unassuming storytelling and clear-cut defining for all to understand.